Chiropractor Benoni Boksburg Brakpan Delmas Heidelberg Springs; who are they? Chiropractic help still belongs to the CAM stable; complementary and alternative medicine. However, now that there is much research proving that manipulation and exercise are the treatment of choice for many spinal conditions, some DCs would like to see the profession being a part of mainstream healthcare. The establishment of the allied health professions board has in fact, inter alia, to an extent achieved that in any case. 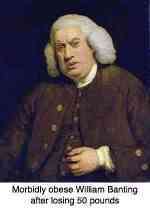 However, hospital privileges in the main remain denied, with one exception. Only Kimberley has a full time chiropractor in a provincial medical facility. Certainly chiropractors would like easier access to scans for the severe lumbar disc prolapses not infrequently seen in practice. An MRI tells far more than plain xray. There are pros and cons. In a worst case scenario chiropractors would lose their independence and identity; it's hotly debated in the profession. The positives are there would be more healthy discussion between professionals, and an active referral system. Central to the discussion is the subluxation and the safety of chiropractic. Below is a list of the men and women from Chiropractic Help who can help you with your joint, muscle and neurological conditions; and many other things. Are you unable to fall pregnant, in the absence of any abnormalities? Chiropractor Benoni Boksburg Brakpan Delmas Heidelberg Springs; find your local DC. Lower back and leg pain are the most common complaints at chiropractors' offices. This L4 lumbar spine casefile will give you an idea of how your chiropractor may manage your lower back and leg pain. However, please understand that ours is an art as well as a science, so no two doctors would manage the condition in exactly the same way. One might use traction, yet another an activator. Thompson drop technique is commonly utilised today for sacroiliac joint treatment, but certainly not exclusively. The L4 lumbar spine case file above will give you some insights into the chiropractic management of lower back and leg pain. Anecdotes are of no real scientific value but they do give one an idea of what can be achieved with chiropractic. This degenerative lumbar disc disease case file is very typical of patients seen on a daily basis. Much of the debilitating lower back pain experienced by the elderly is perhaps inevitable. Which of us has escaped a severe fall or two; a lifetime of inescapable hard labour, an addiction to smoking or television, a modern American junk food diet, deficient in important nutrients, and obesity. All contribute to the epidemic of lumbago. However, so much can be done, if we make a start early enough. Just a heel lift in your shoe, a two minute exercise programme done every morning and evening, just like you do for your teeth, fatty fish rich in omega 3 essential fatty acids would make an enormous difference; surely those aren't painful changes to make, to save yourself sheer misery for the last twenty years of your life. Treating so many elderly people now, I try when treating young women to picture how the pretty young woman will look in thirty years time. Will she too be suffering absolute misery, or can we now make some changes that will positively alter the progress of her health? CHIROPRACTIC TIPS ... a simple set of exercises. Groin and upper leg pain are stubborn areas; misdiagnosis is common but at Chiropractor Benoni Boksburg Brakpan Delmas Heidelberg Springs you can expect a good examination, referral for an xray if necessary, and the appropriate treatment. Rome wasn't built in a day remember. But there's a proviso. If it's diagnosed early, and managed correctly, with chiropractic, of course, and sometimes an acceptance that certain sports are verboten. 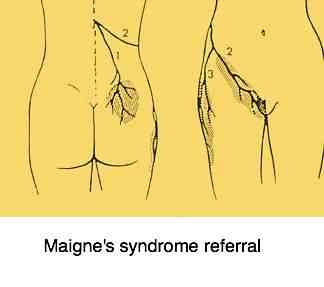 Likewise, two upper lumbar spine conditions, Maignes syndrome and Meralgia paresthetica also cause severe groin and upper leg pain and numbness. The good news is that, correctly managed, they too respond extremely well to chiropractic care. 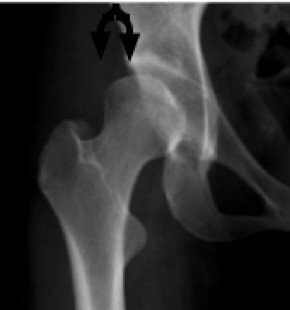 Developmental hip dysplasia casefiles should always be viewed critically, any case files for that matter; they are not proven scientific fact, but an anecdote. Nevertheless at chiropractor Benoni Boksburg Brakpan Delmas Heidelberg Springs you can expect a good examination and the appropriate care; if you feel you're being short changed, then say so. Right now I'm treating a young man with groin pain; he's been for two inguinal hernia operations that didn't help one jot. The clinical examination is of hip condition, like DDH, and now to have him xrayed. A hip condition was never considered by the local GP or surgeon. It is equally a danger to a surgeon with only a knife in his hand, and a chiropractor Benoni Boksburg Brakpan Delmas Heidelberg Springs using a hands; everything looks like a nail. Expect and demand a thorough examination from both your medical doctor and your chiropractor. Groin pain is a common complaint at the chiropractic coalface, and from the many letters I get from folk wanting direction for this or that. Sometimes it's referred pain, as in Maignes syndrome for example, but it can be be DDH and FAIS as well as hip arthritis, of course. Add to that the pubic bone pain which is so common in young women, and the more serious ailments producing lumps and bumps in the groin, and there's a veritable kaleidoscope of conditions to consider. Chiropractic has its roots in holistic naturopathic medicine, so you may well find your chiropractor asking pertinent questions about what you eat, and whether you exercise. What we enjoy at mealtimes, and perhaps even more important what we don't eat, has a profound effect on our health. Just the opposite is also creating a stir in medical circles at present with new interest in the Banting diet; based on a very high animal fat, with near zero carbohydrate, it's the exact opposite of everything we have been taught about weight loss. In pregnancy and whilst breast feeding, and for your young child, if you aren't getting adequate omega 3 fatty acids, their IQ will certainly be lower. When you are older, senile dementia is far more likely. Why? Because the brain and nerves are made largely of fat. Oodles of research. The solution is more fatty fish, walnuts and freshly ground flaxseed.